Renault has marked its return to Formula 1 as a full-blown manufacturer outfit by being the first team to publically reveal its 2016 challenger and driver line-up. The French team, which has taken over the Lotus squad that ran out of its former Enstone, Oxfordshire base, unveiled the RS16 at its Technocentre in Paris on Wednesday. 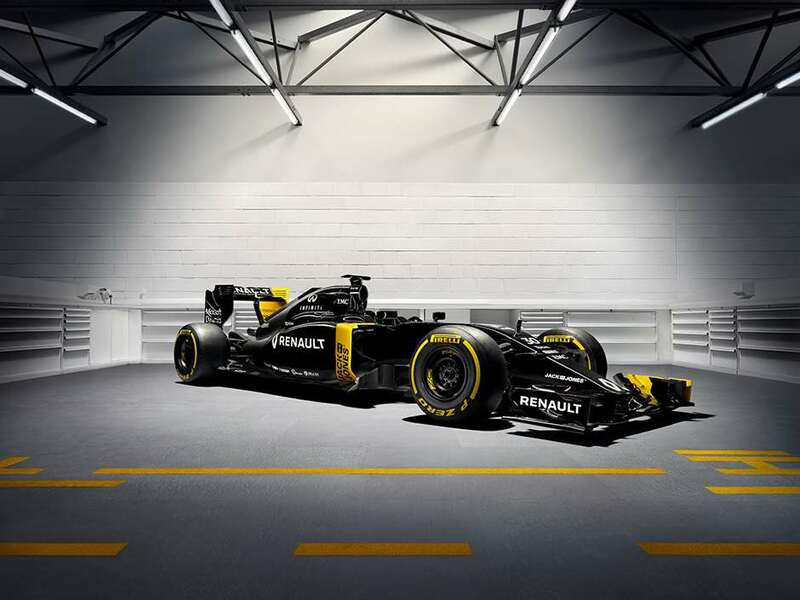 With an RS (Renault Sport) designation and a black-and-yellow livery, there was a distinctly retro feel to the launch, although the team has hinted that the launch colour scheme of the car may change in time for the first Grand Prix in Australia on March 20. Also unveiled for the first time were the team’s two race drivers, Brit Jolyon Palmer, who was handed a seat following his work as a test driver with Lotus, and Dane Kevin Magnussen, who returns to racing after a year on the sidelines as a McLaren reserve driver. Magnussen, who raced for the British squad in 2014, scoring a podium finish on his debut in Melbourne, has replaced Lotus incumbent Pastor Maldonado after the Venezuelan’s PDVSA backing fell through. Both Renault racers are the sons of former F1 drivers. Palmer, who won the GP2 title in 2014, is the son of Jonathan Palmer, who contested 82 GPs for Williams, RAM, Zakspeed and Tyrrell between 1983 and ’89, while Magnussen’s father Jan contested 24 races for McLaren and Stewart between 1995 and ’98. Joining the team as a reserve is highly rated 19-year-old Frenchman Esteban Ocon, a former European F3 Champion who took championship honours in the F1-supporting GP3 series last season. Renault CEO Carlos Ghosn went on the record to say that the team is expected to be securing podium finishes within three years, while also confirming Frédéric Vasseur, who ran the hugely successful ART single-seater team, will be Renault Sport F1’s Racing Director. Former Caterham chief Cyril Abiteboul has taken up the role of Managing Director, with Bob Bell assuming the role of Chief Technical Officer. Renault: Will F1's Sleeping Giant Reawaken?